Working hard to deliver your community projects? We can help you prove it! Upshot is a performance management software solution developed by the Football Foundation, the UK's largest sports charity. 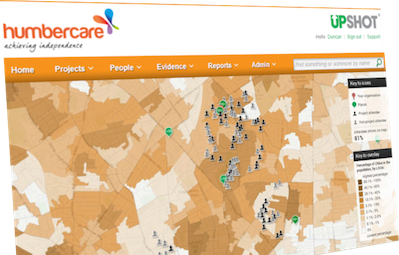 It is designed to help organisations delivering and funding community based projects, manage, monitor and evidence their work, and prove their impact. There are currently more than 750 organisations using Upshot across a wide range of sectors including NGB’s, housing associations, universities, local authorities and sport and non-sport charities. Most recent developments have seen Upshot translated into Spanish, Portuguese and Welsh, as we begin to engage with the international non-profit community. Upshot allows you to see how all the projects you fund are progressing from a unique 'viewing platform'. The organisations you fund get all the benefits of using Upshot, while you automatically view and analyse all the information they are collecting, to evidence your overall impact. Use Upshot to make your work simpler, easier and more cost effective. Allow Upshot to track progress and show the impact that your projects have, while you concentrate on delivering the work.